Unmanned Aerial Vehicles (UAVs) are one of the most game-changing technologies to appear in recent years. They are a hot topic of discussion and the subject of some debate. One of the fastest growing applications for drones is UAV surveying, since land surveyors can use these devices to quickly and efficiently survey large areas. In this post, we take a look at the rise of UAVs, which industries are embracing the technology, and how UAVs are changing the world of land surveying. 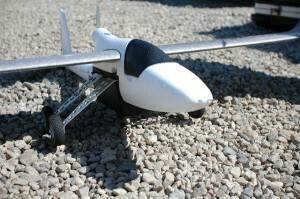 When this idea of UAVs first surfaced, the military was using the concept to identify mines in Afghanistan. Tudor Thomas, an aerial-imagery specialist behind the concept, took his knowledge and transformed it into a lucrative business model. Using the single-frame images from the photos, Thomas and his team developed software to correct those images, blending them into a single consumable. Known as orthorectification, this process created a geo-referenced map though real-world location data based on the GPS reading of ground control points. Some of the earliest adopters of commercial drone technology include businesses in agriculture, energy, construction and land management. Most of these industries have been experimenting with UAV technology for years. However, now that the Federal Aviation Administration (FAA) has been issuing Section 333 status to businesses, which allows them to legally use drones for commercial purposes, these industries have started to include UAVs as part of their service offering. Most growth in the drone industry is on the commercial side, as drones move away from being primarily in the military market. This market is estimated to grow at a compound annual growth rate (CAGR) of 19% between 2015 and 2020, compared to 5% growth on the military side. Package delivery and E-commerce will not be an early focus of the drone industry. Disaster relief and conservation experts welcome drone mapping as an alternative to satellite imagery. The global commercial drone market will take shape around applications among a number of industries such as utilities, mining, energy, agriculture, real estate, new media, construction and film production. UAV technology allows land surveyors to survey large areas with ease. Challenges such as rough terrain become effortless when the survey is done with a UAV. Since the drone is airborne and does not need to drive from point to point in order to perform a scan, it can survey a territory in significantly less time than a traditional survey. This means that projects that once took a week can be completed in a day. Because surveys created by a UAV can be done quickly and don’t take as many man-hours or resources to complete, they are less expensive. Since many of the industries that typically need land surveys (energy, real estate, etc.) are constantly looking for ways to reduce costs, this is particularly important. Thanks to advances in photogrammetry, these surveys can not only be done quickly and inexpensively, they can also be done with the same level of accuracy as traditional surveys. This means there is no real trade-off in accuracy with a UAV generated survey. Because of the above reasons, UAVs are a game-changer for professional land surveyors and a benefit to their customers. While few surveyors have access to the technology, and fewer still have experience using it, the technology can still be a huge benefit for construction projects. Project managers simply need to partner with a professional land surveyor that does have experience using UAVs. For more information on how UAVs can benefit you, contact a team member at Landpoint today.